Canada’s most populous province, Ontario, has officially unveiled their framework for the sales of recreational cannabis at government-run dispensaries. Canada’s most populous province has officially unveiled their framework for the sales of recreational cannabis. Released by Ontario’s Finance and Health ministers, this marks the first province in Canada to announce their plans for regulated sales come legalization next year. The announcement comes as the federal Liberal government prepares to make good on its promise to legalize recreational use of the herb in a years time. The move could be a catalyst for other provinces, but also set a precedent for the style of cannabis sales. The Liquor Control Board of Ontario (LCBO) will manage the retail sales of cannabis across the province through independent dispensaries and an online ordering service, meaning cannabis and alcohol will not be sold alongside each other. Ontario has officially pledged to open 40 stores next year and a total of 150 separate locations to sell legal weed across the province by 2020. The province has included restrictions on the consumption of cannabis, which will ban it in public places, vehicles, businesses, and will only be allowed in private residences. To be consistent with the legal drinking age in the province, the minimum age to purchase cannabis at a LCBO controlled dispensary or online will be 19. 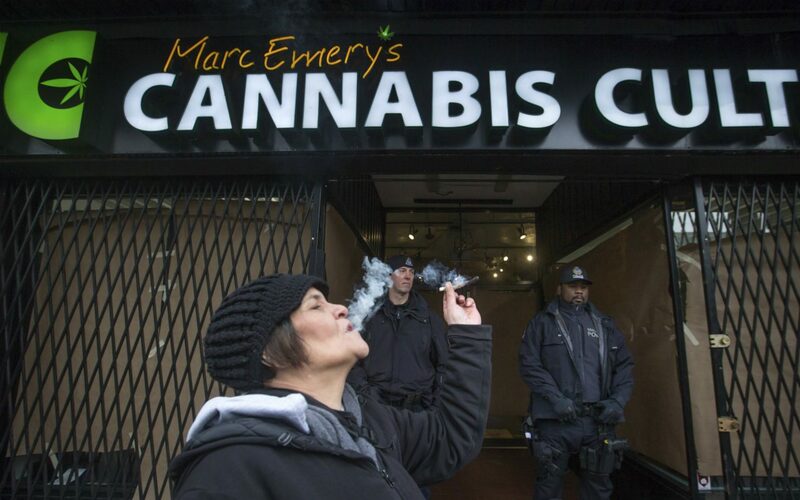 Many dispensaries owners operating within the legal gray area of Canadian law are going to feel the full force of the provincial government every day that legalization looms closer to reality. A former dispensary owner feels that the new legislation could actually spur up the market for new businesses that will accompany the government operated. Other activists disagree with the large scale operation that the province will take to distribute and sell cannabis.